The attached carport was built with pressure treated post and conventional framing. Cornice work on the garage is matching cedar with seamless guttering. Roof materials for the existing home and carport are IKO dimensional 30 year shingles. We installed an electrical package from D & D wiring that included two overhead dusk to dawn lights for the ceiling. Ceiling materials are solid vinyl soffit provided by Norandex Building Materials. The broom finished concrete for the carport was installed by OTG custom concrete. Finally we installed 6 x 6 at perimeter where the existing grade had to be altered for water drainage on the new concrete slab. Contact us for a free estimate on your carport or other projects. Visit our contact us on the website and we will be back to you as soon as possible. 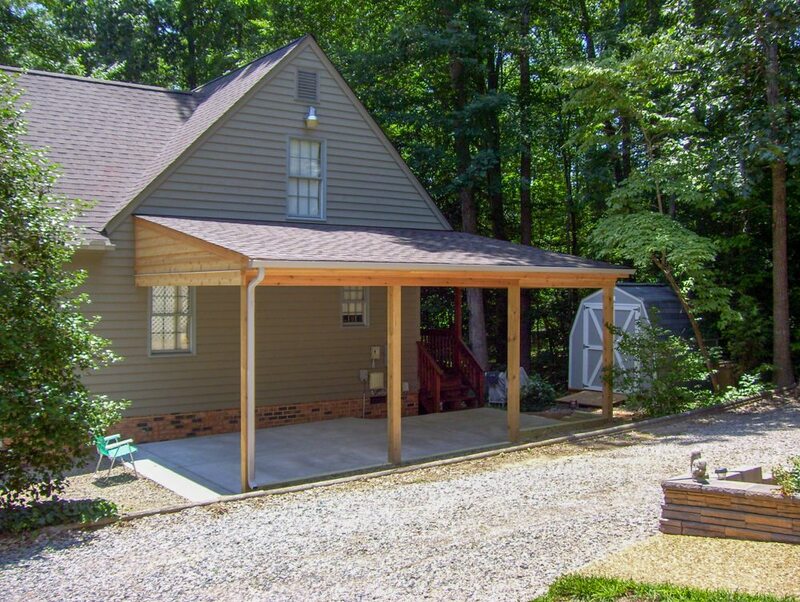 Also, visit our Carport Section of the website to see examples and our finished jobs. Click here to get a quote.